The USC Marshall School of Business has a long tradition of education business leaders. Located in the heart of Los Angeles, the Marshall School is poised as a dominant institution for higher education in the Pacific Rim and provides ready access to industries defining the new business frontiers; bio-technology, life sciences, media, entertainment, communications and healthcare. 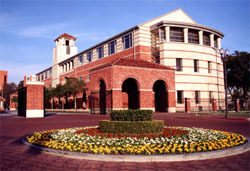 The USC Marshall School of Business is a private research and academic institution that is committed to educating the global leaders of tomorrow. Ranked as one of the country's top school's for accounting, finance, entrepreneurship and international business studies, Marshall also shares the rich history and vibrant community of the USC academic system. The Marshall curriculum is designed to prepare students for the evolving realities of the global marketplace. The expert faculty combines real-world experience and research in programs that emphasize interactive learning. 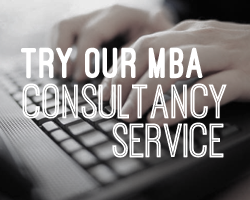 Marshall is the first school requiring international travel and study projects as part of every MBA degree. USC Marshall also offer the research based Centers of Excellence that connect students to conferences, internships and work opportunities related to their field of interest. Not surprisingly, U.S. News & World Report has cited our undergraduate education as one of the best in America, while Business Week ranks the MBA program in the top 30 of all business schools.